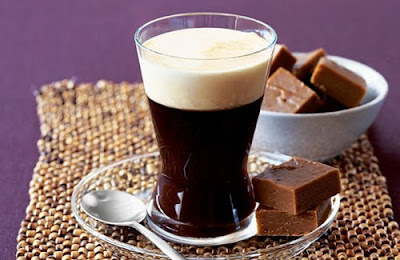 Discription:What better way to end a stylish feast than with this wonderfully wicked liqueur coffee. Warm 4 glasses (about 250ml size) by filling them with hot water, then draining and drying off. Add 1 tablespoon of your chosen liqueur and 1-2 teaspoons of sugar to each glass, according to taste, and top each one up with approximately 200ml fresh hot coffee. Swirl to dissolve the sugar and then slowly pour the cream into each glass over the back of a teaspoon, so that it floats – do not stir it.